It's serving up tartine, pastries, charcuterie and an extensive selection of wine from morning right through to night. Open from morning till night, District Brasserie is bringing a much needed all-day venue to the heart of Sydney's CBD. Acting as both a takeaway coffee shop and sit-down restaurant/bar from breakfast straight on through late-night dinner, the 200-seater opened this week to a warm welcome of city dwellers. Designed by Paul Kelly (BLACK by Ezard, Sokyo), the restaurant pays tribute to the classic brasserie style with aged brass highlights, simple timber tables, dark leather booths and an elegant green marble bar — perfect for post-work knock-offs or cheeky lunchtime tipples. Operating as both District Bakery and District Brasserie, the venue opened in two stages, with the bakery side serving patrons since late June. Its French-inspired takeaway menu features three varieties of tartine, a smoked ham and cheese croissant and a spiced rum canelé, along with all the pastries imaginable and locally produced Single O coffees for good measure. The sit-down offering is run by head chefs Mark Knox (ex-Public Dining) and Robert Ackroyd (ex-Arras) who are turning to local farmers for the freshest produce. For those blessed with more time in the morning, the brasserie breakfast menu features an Ora king salmon with green tahini, quinoa and kelp salt, all topped with a poached egg. For lunch or dinner, think charcoaled meats, along with a seafood medley of steamed hapuka, clams and mussels topped with mushrooms, warrigal greens, lemongrass and ginger volute. As with any good brasserie, charcuterie boards and an extensive selection of wine — 120 labels in total — are available for all day snacking. 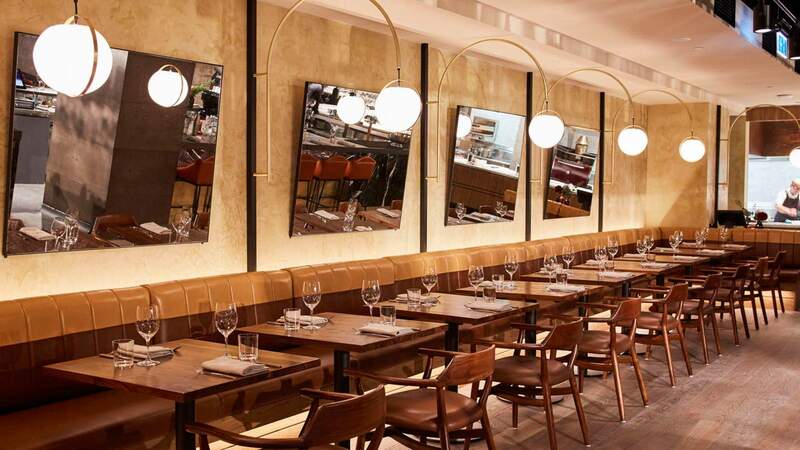 District Brasserie is now open on the Lower Ground of 2 Chifely Square, Sydney. District Bakery is open Monday through Friday from 6.30am to 4pm and District Brasserie is open Monday to Friday from 7am until late.For more info, visit disctrictbrasserie.com.au.